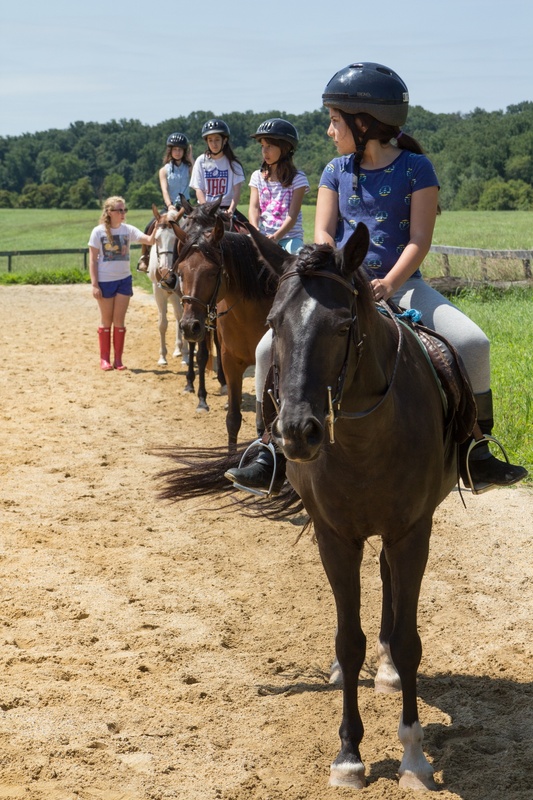 Calleva offers Private, Semi-Private & Group Riding Lessons. Lessons occur on weekdays and weekends and must be scheduled through the Director with assigned instructors. Students need no experience. 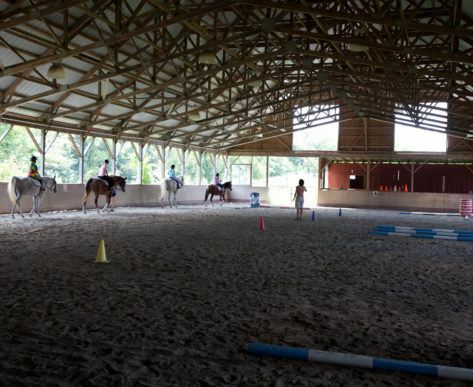 Our horses are vetted with schools and campers making them beginner friendly with good habits. Our covered arena enables lessons to be held rain or shine, and allow students room to change, eat, and even get work done in the classroom. Students must wear long pants and an enclosed shoe with a low heel in order to ride. 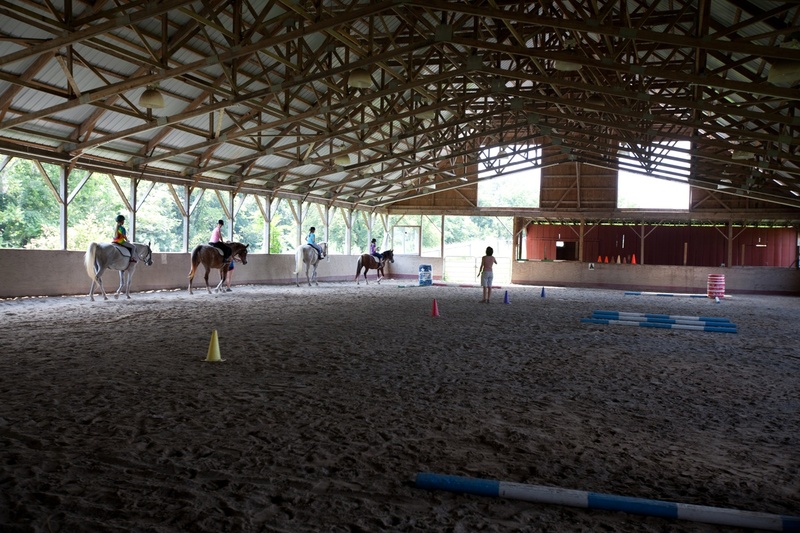 Lessons are available to riders age 5 and older. Weight limit is 180 lbs. Students who sign up for 10 sessions receive on free lesson with their registration (pay for 9 lessons and receive the 10th for free!). 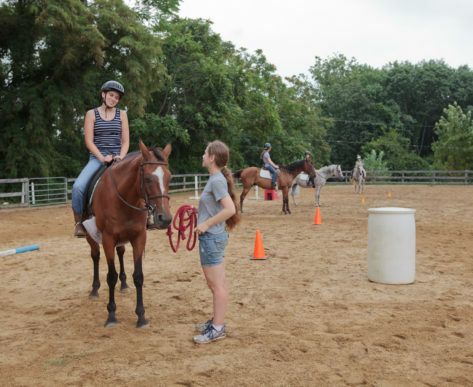 3 Levels of horseback riding camps offered in June, July, & August.